You will need to confirm your identity through the Telmate Verified program before you can accept inmate phone calls. Telmate verification helps ensure the safety of you and your inmate contact by aiding in the elimination of fraud and extortion. 1. Make a deposit: You will be verified when you make your first deposit to an inmate or telephone number. Learn more. 2. Create an account: When you create a GettingOut account, you’ll be asked some questions to verify your identity. Learn more. At Pulaski County Detention Center, communication is more than just phone calls. GettingOut at Pulaski County Detention Center provides a number of ways to keep in contact with your inmate. You can send and receive secure messages, share photos, and video visit from the comfort of your home. And with our free Android and iOS mobile apps, you can send messages and make deposits on the go. See the list below for all that GettingOut has to offer. Onsite visitation takes place in the lobby using the video stations. Review what you should know before you visit at the facility. Remote (offsite) video visiting is available to friends and family using a web browser. Video visits may be conducted from any computer with high-speed internet, a webcam, microphone, & speakers. Learn how to set up your computer for at-home visits. 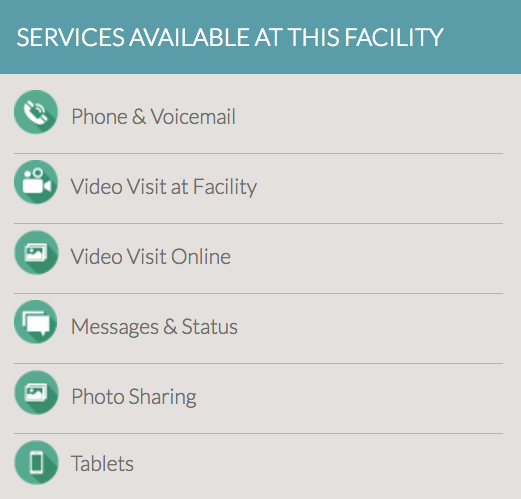 For questions about online video visitation at the Pulaski County Detention Center, call (866) 516-0115, and select option 2. Visits must be scheduled 24 hours in advance. 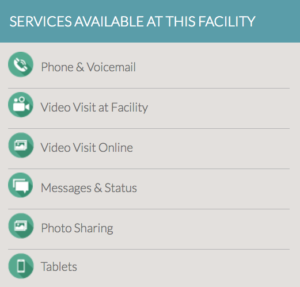 To schedule a visit with an inmate, go to www.gettingout.com or use the kiosk in the facility lobby. You will need to login (or create an account if you haven’t already) before scheduling a visit. Learn how to schedule a first-time visit. To cancel a visit, log into your GettingOut account or use the link provided in your confirmation email. Cancellations that are over 24 hours in advance are fully refunded. Messaging is the most convenient way to stay connected with your friend or loved one. Like “chatting” or “texting,” messages are short, conversational, digital notes you send from our free mobile app or through your GettingOut account online. Log into your account at GettingOut.com or through our free mobile app for Android and iOS. Depositing money on our secure website is instant, safe and easy. We accept all major credit cards including Visa, MasterCard, Discover and American Express. Once deposited, the funds are available immediately to your incarcerated loved one or friend. Depositing money by phone is a convenient way for your inmate to receive money immediately. Just call 1 (866) 516-0115. Our bi-lingual operators are standing by 24 hours 7 days a week to assist you with your deposit. Major credit cards accepted are Visa, MasterCard, Discover and American Express. Depositing money at our lobby kiosk is a secure way to get funds to your incarcerated loved one instantaneously. Some facilities require identity verification so bring your driver’s license or some other form of ID. With our free mobile app for Android and iOS you can now make deposits, send messages and even share photos on the go! Account funds can be used for phone calls, video visits, photos & messages. Receive calls on your mobile phone, or home phone! You have two options when setting up a prepaid account. These funds give your friend or loved one the freedom to spend the money on any communication services available at their facility, with any of their contacts. These funds go into your account to pay for any communication services available. Your friend or loved one can only use these funds to call the phone number you’ve specified. 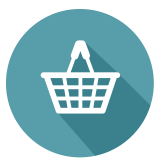 With commissary funds, your loved one or friend will have money to shop at the facility commissary where they can purchase snacks, toiletries and clothing such as socks and underwear. These funds give your friend or loved one the freedom to spend the money on any services available at their facility, with any of their contacts. These funds are used to pay for services linked to your specific account, phone number or email. These funds enable inmates to purchase items from the facility such as snacks, toiletries and other goods and services. Visit our help center for FAQs and video tutorials. Stay in touch, share with others, and stay connected.